Bourbeau, Philippe, “Detention and Immigration: Practices, Crimmigration and Norms“, Migration Studies, OnlineFirst, 2018. A great deal has been written in the past years about the process of institutionally integrating international migration into security frameworks that employ and induce control, policing, and defence—i.e., the securitisation of migration. 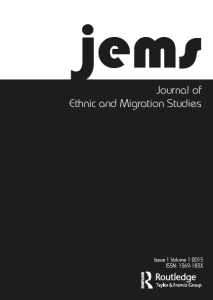 The objective of this article is to complement these studies by focusing on the processes that contribute to the continuity of a securitised understanding of international migration. I suggest that the practice of detaining migrants in detention centres plays an important role in how the securitisation of migration gets perpetuated as the dominant lens through which the international movement of people is understood. In studying the securitisation of migration in Canada since the 1990s, I examine three processes: (1) that a mimetic process from criminal law to immigration law was instrumental in linking migration and security; (2) that practices and norms, especially the adjudication norms, were simultaneously at play in casting security as the dominant lens through which international migration is understood; and (3) that the practices of detaining migrants in centres resembling carceral facilities has helped to “lock in” an understanding of migration as a security issue. Bourbeau, Philippe, “A Genealogy of Resilience”. International Political Sociology, 2018, 12(1): 19-35. The use of the concept of resilience in social sciences is far from new. Several disciplines and fields of research, including psychology, child development, criminology, biology, ecology and social work, have laid out the components and strengths of a resilience approach in the past sixty years, if not beyond. While these disciplines have consolidated and expanded these viewpoints, resilience as emerged as an important and much-discussed theme in the public policy realm and in various sub-fields of world politics. 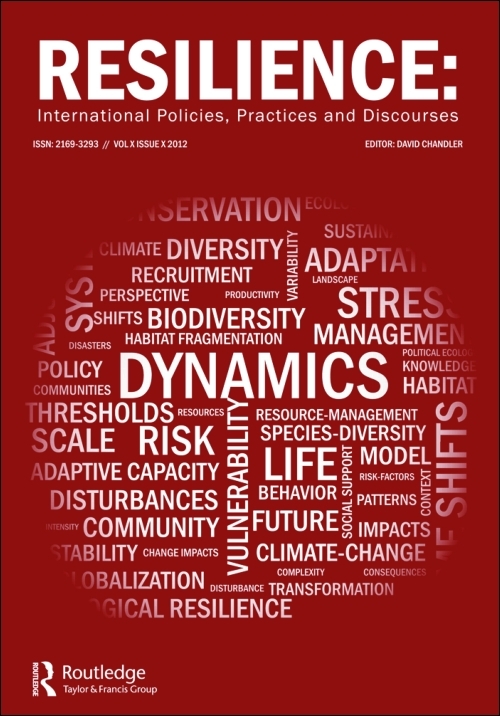 At the same time as resilience is gaining popularity in world politics, a particular genealogy of resilience is structuring much of the critical literature in International Relations (IR): resilience was born in system ecology in the 1970s. On the basis of this particular genealogy, many IR critical theorists argue that resilience is a form of reasoning that participates in a neoliberal rationality of governance; seen in this light, resilience is lamentable. In this article, I propose a different, more extensive genealogy of resilience. I argue that before we can conduct an analysis of the application of resilience in world politics, we must understand the diverse paths through which resilience has percolated into international politics. 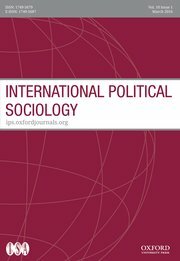 By tracing the diverse expressions of resilience in world politics to various markers within the history of resilience, this article contends that this is an opportune moment to move scattered scholarships on resilience a step further and better theorise the relationship between resilience and world politics. 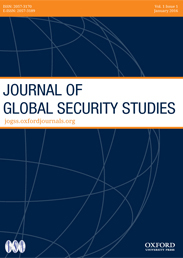 Baele, Stéphane, Thierry Balzacq, and Philippe Bourbeau, “Numbers in Global Security Governance“, European Journal of International Security, 2018, 3(1): 22-44. The use of numbers has been remarkably effective at pressing global claims. Whilst research has documented the historical processes through which numbers gained such prominence, and has examined the political and ethical consequences of this omnipresence, very little is known regarding the specific ways in which numbers create the outcomes that sustain governance. This article proposes to close that gap. It analyzes how using numbers in global security governance produces specific dynamics, and the circumstances within which these dynamics are more or less decisive. To do so, the article identifies three distinct but connected vectors of numbers: persuasion, (de)politicization, and standardization, which are essential in understanding how new forms of security governance take place. Building on the literature that acknowledges that numbers not only describe things but also have profound impacts on things themselves, this paper offers an integrated account of the working dynamics of numbers in the governance of security. These insights are exemplified through the prism of different empirical examples, the variety of which aims to display the advantages of the approach we propose. Bourbeau, Philippe, “The Practice Approach in Global Politics“, Journal of Global Security Studies, 2017, 2(2): 170-82. Practices are capturing increased interest in International Relations (IR) of late. Throughout this article, I demonstrate that the body of work under review contributes to a progressive research agenda in world politics. As such, the high quality of the books under review attests to the dynamism of the practice turn. This review puts forward two main arguments. First, I distinguish at least four different forms of a practice approach on display in the reviewed books. Second, I suggest that practice is an essentially contested concept. Overall, this review article highlights some trends flowing from these books as well as some questions that remain either underdeveloped or unanswered. Books under review: Autesserre, Séverine. 2014. Peaceland: Conflict resolution and the everyday politics of international intervention. Cambridge: Cambridge University Press; Bueger, Christian, and Frank Gadinger. 2014. International Practice Theory: New perspectives. London: Palgrave Macmillan; McNamara, Kathleen R. 2015. The Politics of Everyday Europe: Constructing Authority in the European Union. Oxford: Oxford University Press; Pouliot, Vincent. 2016. International Pecking Orders: The Politics and Practice of Multilateral Diplomacy. Cambridge: Cambridge University Press; Sending, Ole Jacob, Vincent Pouliot, and Iver B. Neumann. 2015. Diplomacy and the Making of World Politics. Cambridge: Cambridge University Press. 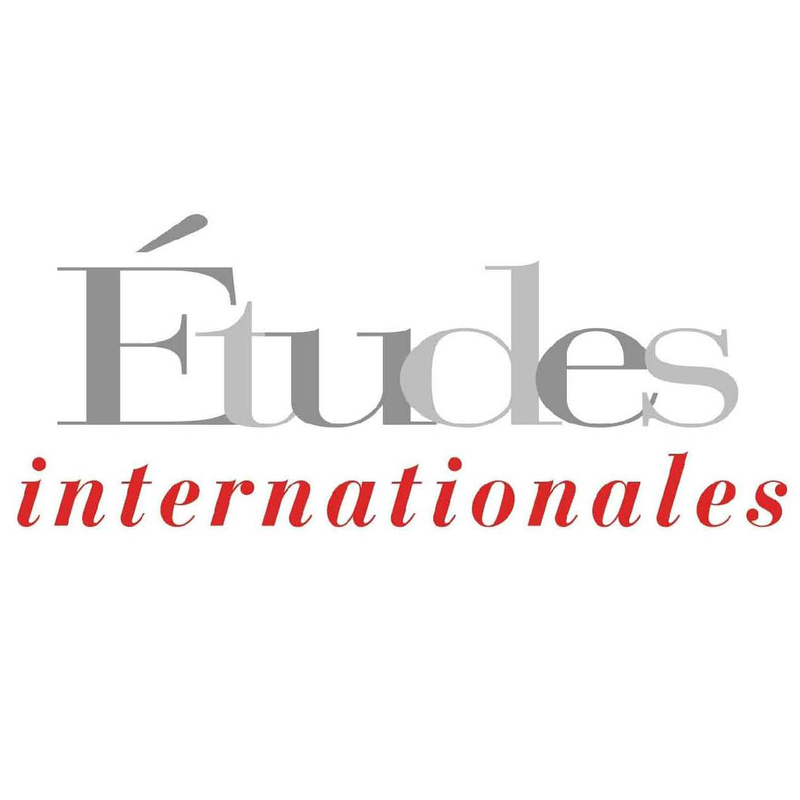 Bourbeau, Philippe, “Migration, Resilience, and Security: Responses to new inflows of asylum seekers and migrants“, Journal of Ethnic and Migration Studies, 2015, 41(12): 1958-77. ​Translated as Bourbeau, Philippe, “Migration, Resilienz und Sicherheit”, in medico international (ed.) Fit für die Katastrophe. Der Resilienzdiskurs in Politik und Hilfe, Giessen, Psychosozial-Verlag, 2017. 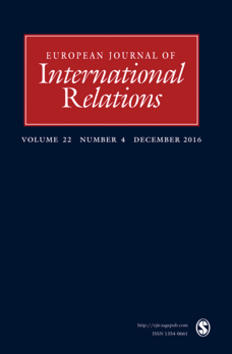 Bourbeau, Philippe, “Resilience and International Politics: Premises, debates and agenda“, International Studies Review, 2015, 17(3): 374-95. Resilience has gained substantial traction in international politics of late. This scholarship has sparked debates concerning the meaning of resilience and how scholar should go about studying it. Scholars attuned to Michel Foucault’s governmentality thesis argue that resilience is a product of contemporary neoliberalism and constitutes a strategy permitting states to abdicate responsibility in times of crisis. 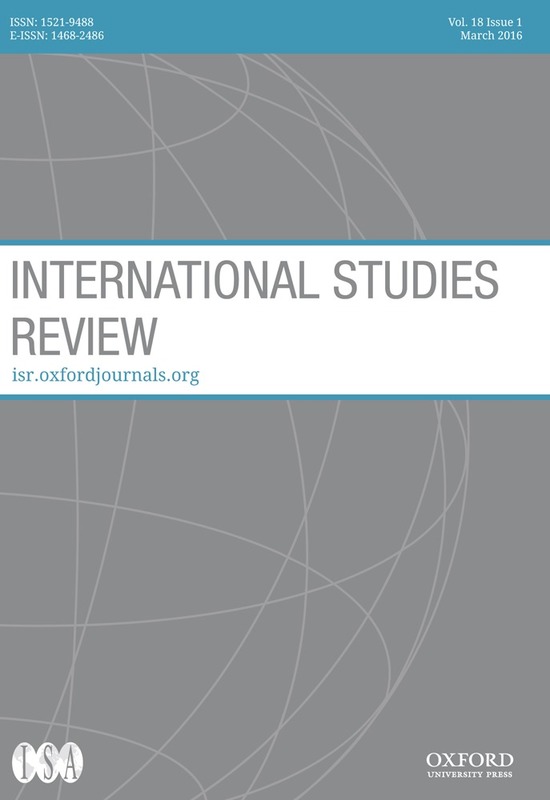 The overarching objective of this article is to tell a different socio-political story of the connections between resilience and international politics. In mapping International Relations scholars working on resilience, the gist of the argument presented here is that although resilience may be in some instances a neoliberal device for governance, it has a wider range of meanings as well. 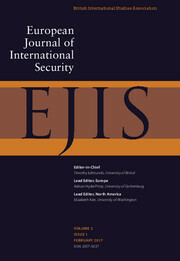 By setting out a different narrative of resilience, this article opens the possibility of an analysis that sees the emergence of resilience in international politics has holding great promise for renewing and deepening current International Relations debates, including securitization, international interventions, vulnerability, resistance, and the political use of myth. Bourbeau, Philippe and Juha Vuori, “Security, Resilience, and Desecuritization: Multidirectional moves and dynamics“, Critical Studies on Security, 2015, 3(3): 253-68. 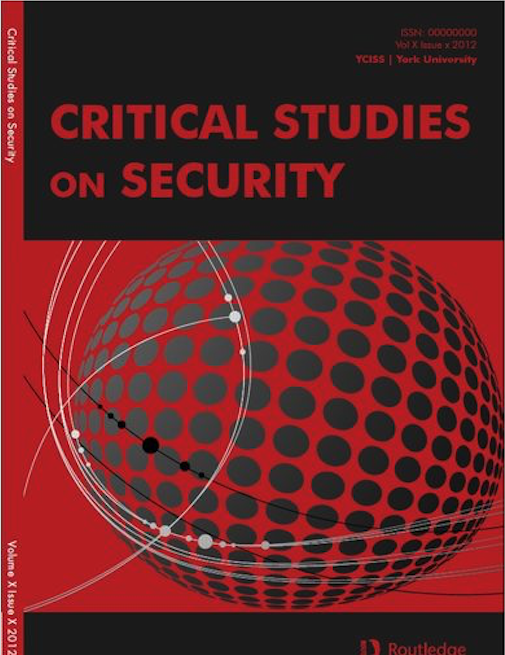 In its current configuration, Security Studies tends to analyze the relationship between security, resilience, and non-security politics in cases where the issue of concern has been securitized, when some issue already has the status function and label of a security issue. The literature consistently frames desecuritization and resilience as processes that take place after an issue has been securitized. The overarching objective of this article is to tell a different socio-political story of the connections between desecuritization, resilience, and securitization. In order to do this, we present a triangular model of dual relationships among security, resilience, and non-security politics. By doing so, we propose a theorization of the relations among these concepts that takes into account not only instances in which desecuritization moves and resiliencization moves follow security, but also instances in which desecuritization and resilience arise before security – when securitization is still brewing. Empirical vignettes are employed throughout our discussion to illustrate key points of our argument. Bourbeau, Philippe, “Moving Forward Together: Logics of the securitisation process“, Millennium: Journal of International Studies, 2014, 43(1): 187-206. In its current configuration, the literature on securitisation – the process of integrating an issue into a security framework that emphasises policing and defence – relies mainly on two logics: the logic of exception and the logic of routine. For some scholars, these two approaches to the study of securitisation frame a battleground on which a conflict among various structural, critical, cultural and sociological standpoints is waged. Although many graduate students cut their theoretical teeth on these debates, little has been gained thus far in the battle for possession of the field. By questioning the literature’s underlying understanding of these two logics as opposing and competing, I pursue two aims in this article. First, I seek to bolster current research on the securitisation process by moving the conversation away from its current analytical stalemate. I caution scholars against overdrawing distinctions between the two logics, for it is not clear that they are mutually exclusive. Second, I seek to recognise and harness the strengths of both logics, and to identify the fruitful theoretical ‘bricks’ each framework contributes to our understanding of securitisation. I illustrate the preceding set of arguments through an analysis of the social construction of migration as a security threat in France since the end of the Cold War. Bourbeau, Philippe, “Resiliencism: Premises and promises in securitisation research“, Resilience. 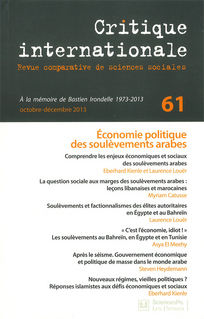 International Policies, Practices, and Discourses, 2013, 1(1): 3-17. In the past decade, a great deal has been written in the scholarly literature about the role of resilience in our social world. This scholarship has sparked vivid theoretical debates in psychology, criminology, social work and political geography about the nature of resilience and how scholars should go about studying it. Yet, International Relations and security studies have been relatively absent from the vibrant discussion. The term is employed but rarely unpacked, let alone theoretically analysed. This article outlines some necessary steps of convergence, enabling a coherent framework for a resiliencist approach to the study of the securitisation process. The bulk of the article lays out the premises of resiliencism, discusses the added value of the approach, suggests distinguishing between three types of resilience and illustrates the set of arguments with the case of the securitisation of migration in France and in Canada. Bourbeau, Philippe, “La politisation et la sécuritisation des migrations internationales: une relation à définir“, Critique internationale, 2013, 61(4): 127-45. La question de la politisation des individus a récemment été posée avec beaucoup de finesse, rigueur et compétence dans le dossier paru en 2011 dans Critique internationale. Notre démarche se veut complémentaire. Convaincus que la recherche sur la politisation a fort à gagner à tisser davantage de liens avec la politique mondiale, nous voulons ici souligner la justesse et le bien-fondé d’une réflexion sur la politisation dans une perspective internationale, en juxtaposant les processus de politisation et les processus de sécuritisation dans le domaine des migrations internationales de l’après-guerre froide. L’argument central est que ces deux processus sont certes distincts mais qu’ils ne sont pas mutuellement exclusifs ni intrinsèquement en concurrence directe. Le cas des migrations internationales au Canada, en particulier la façon dont ces deux processus ont été mis en avant par certains agents médiatiques et politiques, illustre cette démonstration. Bourbeau, Philippe, “Processus et acteurs d’une vision sécuritaire des migrations: le cas du Canada“, Revue européenne des migrations internationales, 2013, 29(4): 21-41. La perception des migrations internationales a significativement changé depuis la fin de la guerre froide. Auparavant largement traitées sous un angle économique et démographique, les migrations internationales sont depuis quelques années une préoccupation de sécurité de la majorité des pays membres de l’OCDE. Pour décrire ce virage sécuritaire, les chercheurs parlent de la sécuritisation des migrations ou de migrations qui évoluent dans un cadre sécuritaire. Or, si la littérature théorique sur le processus de sécuritisation est bien développée, la base empirique demeure incomplète et limitée, particulièrement l’analyse de contenu de discours réalisée de façon systématique et sur une période de temps relativement longue. Deux objectifs guident cet article. D’une part, l’auteur cherche à analyser, sur la base d’une étude comparative des discours de plusieurs agents politiques au Canada entre 1989 et 2011, le rôle de nombreux agents dans le processus de sécuritisation des migrations. D’autre part, il tente de dégager, en conclusion et sur la base de son analyse, des hypothèses de travail pour les études sur la sécuritisation des migrations. Bourbeau, Philippe, “La diaspora chinoise repensée“, Études internationales, 2001, 32(4), 745-67. Note bibliographique de Ng, Wing Chung, The Chinese in Vancouver, 1945-1980. The Pursuit of Identity and Power, Vancouver, UBC Press, 1999; Pieke, Frank N., and Hein Mallee (eds. ), Internal and International Migration. Chinese Perspectives, Richmond, Curzon Press, 1999; Gomez, Edmund T., and Hsin-Huang M. Hsiao (eds. ), Chinese Business in South-East Asia. Contesting Cultural Explanations, Researching Entrepreneurship, Richmond, Curzon Press, 2001.